Instant Rava Upma mix is a breakfast pre-mix recipe that can be prepared and stored beforehand. Whenever you feel like making it, mix the desired quantity of this instant mix with boiling water (just like you do for maggi) and hot steaming upma will be ready in 10 minutes. 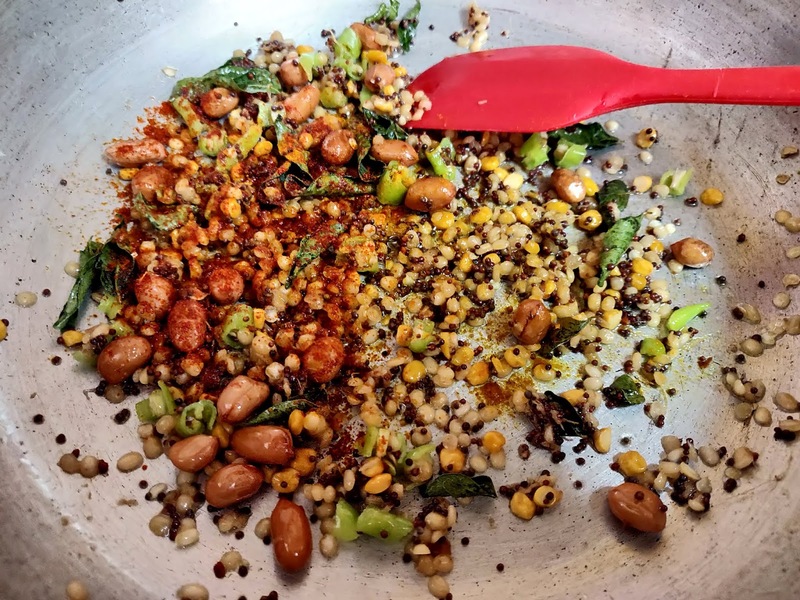 This breakfast pre-mix is useful for people who are always in rush in morning and have absolutely no time to prepare breakfast. It has been published in many reputed health magazines and journals that how breakfast is most important meal of the day as it helps in stabilising our sugar levels, kick start our metabolism and regeneration of brain cells etc. Many of us want to have a hearty breakfast however don't have the much needed time to prepare it. 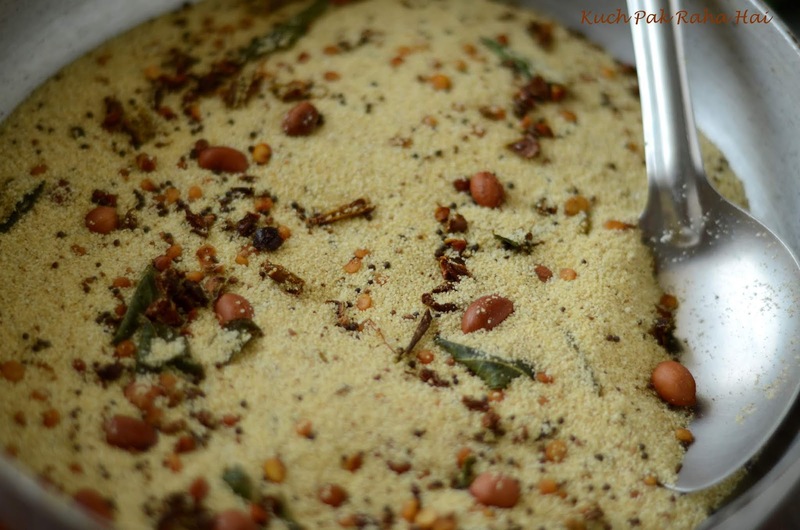 With this Instant Upma mix you can prepare your breakfast in just few minutes. Just some prior preparation on your off-days or weekend and all you have to do in morning is to boil water (not joking) & your breakfast will be ready!! 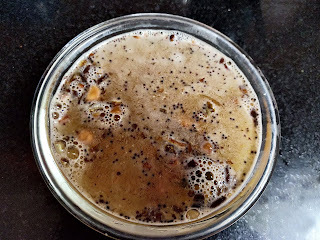 For office going people this mix can be very handy as you can add upma mix in an airtight container, add boiling water to it and put on the lid for 10 minutes. In morning when every minute is counting, these 10 minutes can be utilised in travelling or finishing up other morning chores. 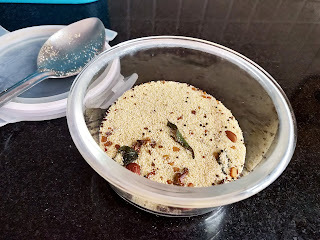 This Instant Upma mix recipe is also helpful for bachelors or students who don't know or don't have time for cooking. 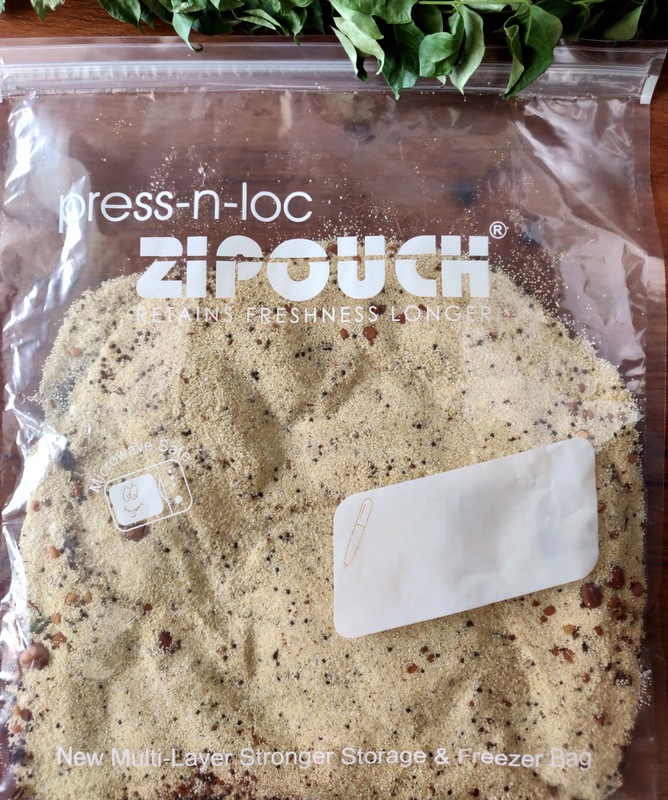 You can even prepare this breakfast mix, pack it in an air-tight container and hand it over to your kids when they are heading towards hostel. I have lived in hostel for four years and such home made instant mixes used to be my saviour on most of the days. 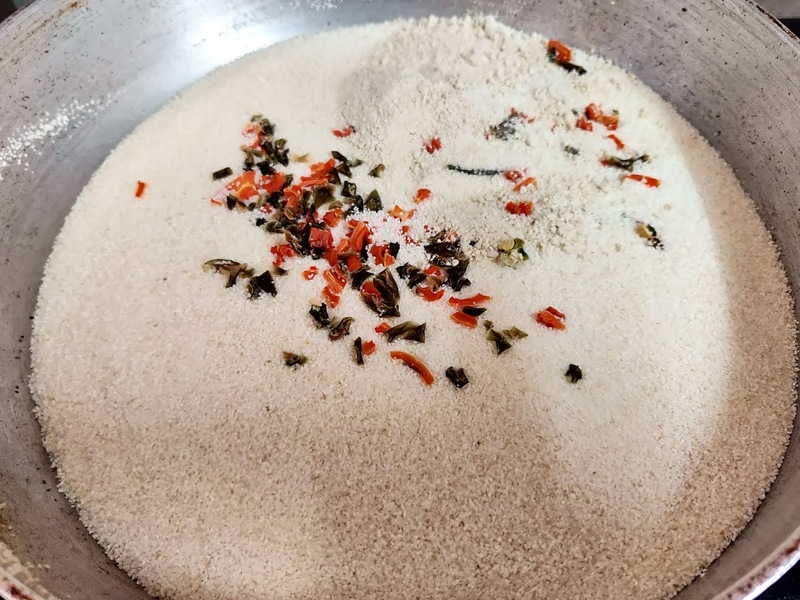 Those who have lived in hostels can totally understand how food cravings are a part of that life :D .
Preparing this Instant Rava Upma mix is really very easy. Just a handful of ingredients, little bit of cooking and your mix is ready. I have added Sun dried vegetables and onion powder but it is optional. 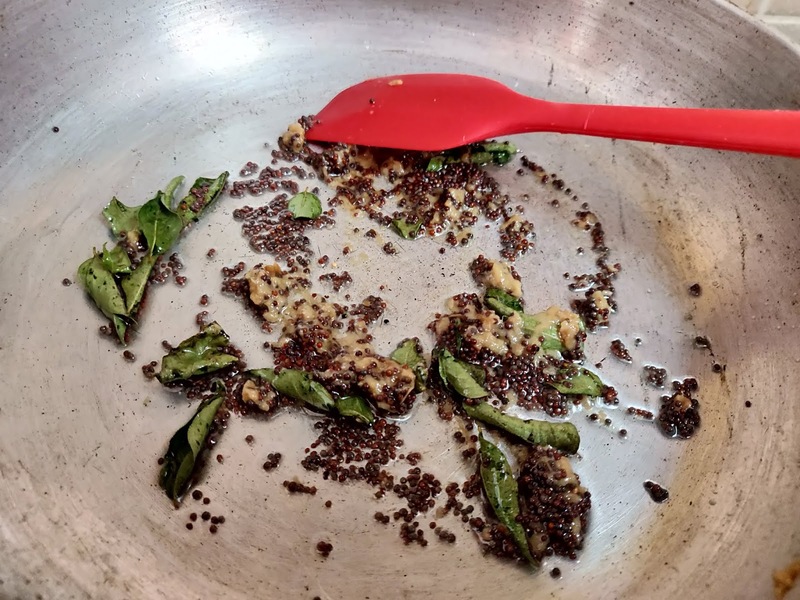 You can still prepare your upma mix without them. I personally like to add them as we travel a lot and finding vegetarian food becomes a big hassle. With these sun dried vegetable at least you are are getting some nutrients or vitamins in your diet. 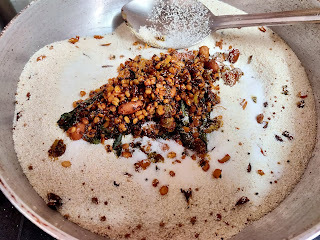 The spices/dal can be adjusted as per one's taste, especially when you are making it for children, feel free to omit red chilli powder or green chillies. Before I get on to the main post let me share with you the method to sun dry vegetables. If you are living somewhere where it is really hot with ample of sunlight, then you would definitely find this method very easy. I am living in Hyderabad (India) and these days the mercury is rising up to 40 degree Celsius almost everyday, so sun drying vegetable was quite easy & quick. I tried sun drying vegetables two ways. I have picked two veggies for this- carrot and capsicum. In the first method, the vegetables were washed thoroughly; chopped into bits and kept under the sun for drying. At night, they were kept under fan inside the house. It took two days for vegetables to completely dry up. In second method, the vegetables were blanched before actually keeping them under the sun. The chopped vegetables were blanched in hot boiling water for 8 minutes, then spread on a plate and kept under sun for drying up. This time the veggies took a day longer than the previous method. It is said that blanching vegetables before sun drying actually increases the shelf life as vegetables are cooked from inside. The colour is more vibrant in comparison to the the first method. However, because of blanching the vegetables get ripped off from some of its nutrients. So it is upto your choice and preference which method you would like to follow. Please feel free to skip the step of sun drying vegetables as it is up to you to make this effort. 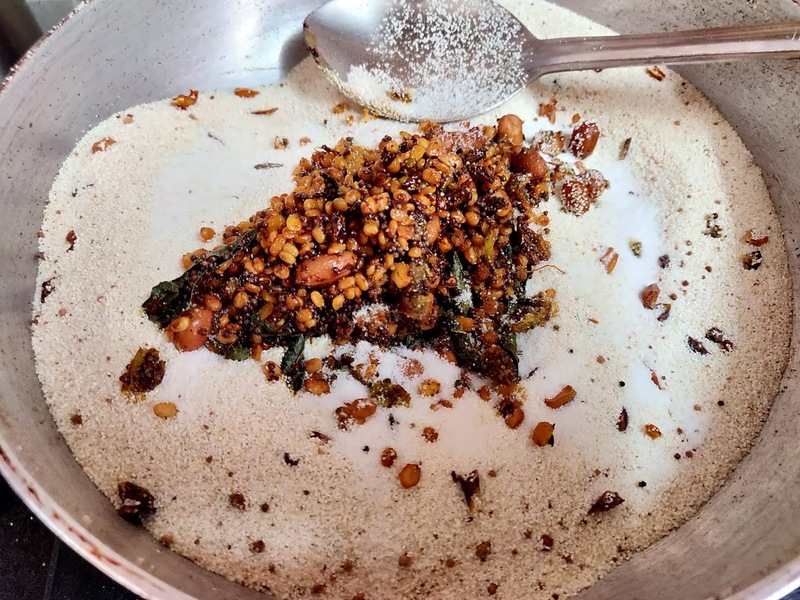 The upma mix can be prepared without them also. If you wish you can add freshly sautéed vegetables in your upma at the time of preparation!! Onion Powder is easily available in retail or online stores these days. To check out the price & weight specification of onion powder, click here. Heat oil in a non stick or heavy bottomed pan. Add mustard seeds, curry leaves, chopped green chillies & ginger paste to it. Stir for few seconds. 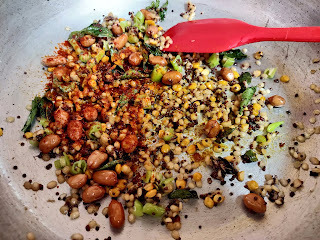 Add peanuts, chana dal, urad dal, turmeric powder and red chilli powder to it. Let all the ingredients get sautéed properly. Dal grain should turn slightly golden brown in colour. Once cooked properly, transfer this spice mixture on a plate. Keep it aside. In the same pan, add rava/semolina/sooji. On the medium heart start roasting the rava. Add dried vegetables and onion powder to it after 2 minutes. Keep stirring or flipping the mixture as we want the rava to be roasted evenly. Rava should become slightly off-white or yellowish in colour and start releasing mild aroma. Once rava is roasted properly, add the spice mixture (which we kept aside in step2) and salt to it. Give it a good stir and switch off the flame. Let the instant upma mixture cool down in the pan itself. 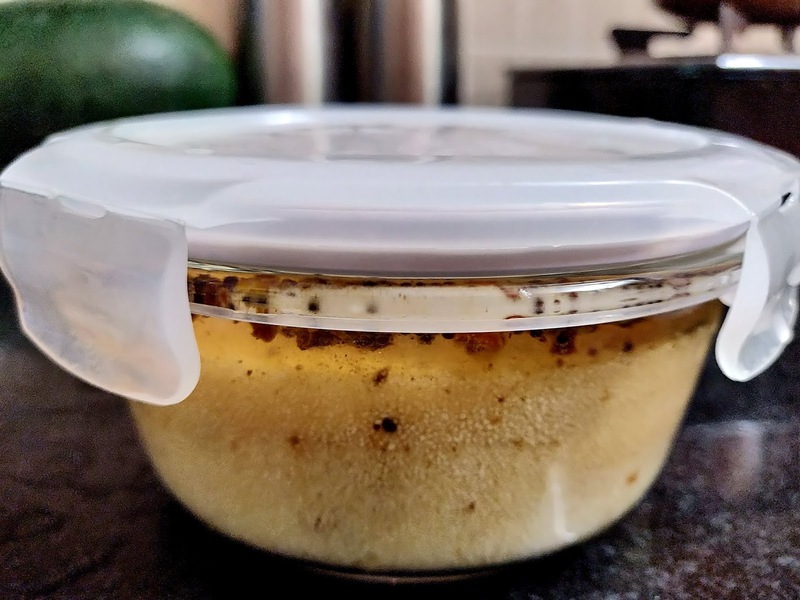 Once the mixture is cooled completely, transfer it in an airtight container and store it in fridge. If you are travelling somewhere, then feel free to carry it with you as the mixture stays good for at least one month. Please take care not to use wet spoons while handling the mixture. I use these press & lock Zipouch for storing my breakfast mixes. It is useful for storing other food items also like dry fruits, mango pulp or flavoured ice cubes in freezer. It is microwave and freezer safe. You can check out its price or other specifications by clicking here. The simplest method which I am going to explain here can generally be seen in flights where they fill up hot water in upma/poha mix and close the lid for 8-10 minutes. Take any glass/steel/plastic container or tiffin with airtight lid. I have used Borosil brand Lock & Lock airtight glass jar. If you are someone who is trying to minimize the use of plastic in kitchen then definitely you will like it. You can check out the price and other specifications by clicking here. Take 1/2 cup of upma mix in that bowl. Add 1 & 1/2 cups hot boiling water to it. Close its lid for 10 minutes. Feel free to finish up your other work while your upma is getting ready on its own ;) . After 10 minutes, open the lid. Upma is ready!! Other method is to saute onion/fresh veggies of your choice in a pan. Then add Upma mix and water to it. 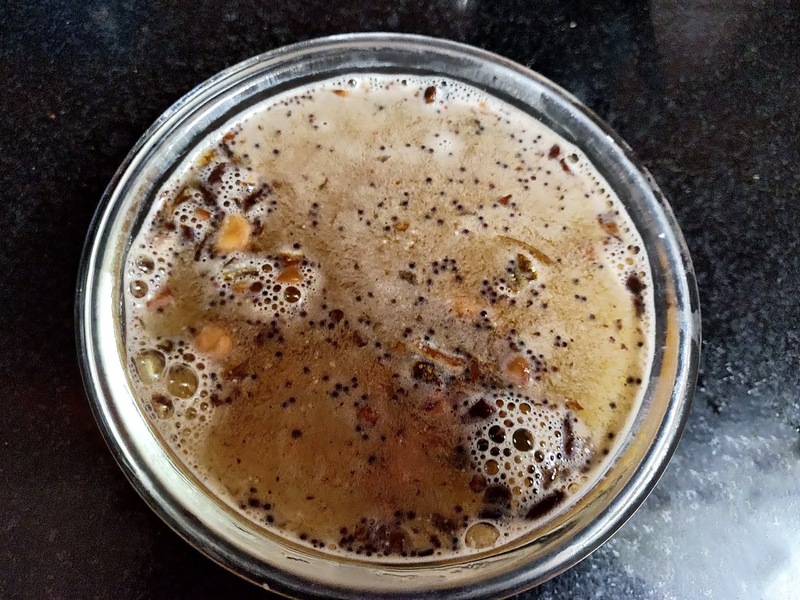 For every 1 cup upma mixture you will require 2.5 cups of water. 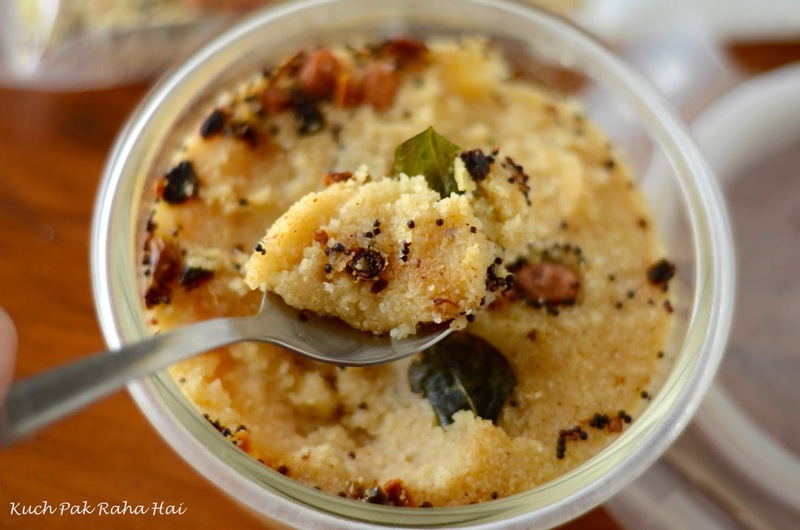 Stir well till the water is absorbed by semolina and upma reaches the desired consistency. Sprinkle some fresh lemon juice on it. 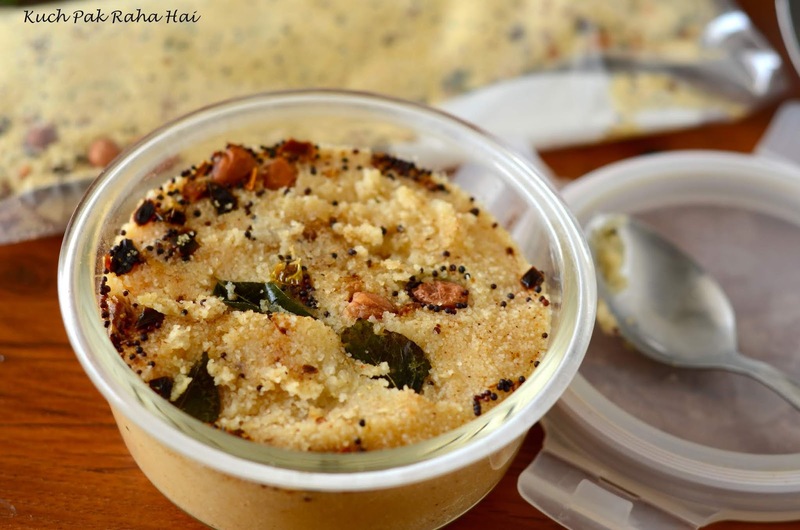 Enjoy hot steaming upma anytime and that too in just few minutes!!! Wow this is really so easy method. I really loved it. I will bookmark this page to try this recipe. I wish to get more easy recipes like this. Basically I am a busy man, I love cooking. I am a bachelor. Currently I am living alone because of my career. So that these type of recipe helps much to me.